Stewart Title is moving out of the Post Oak Central complex in Uptown Houston. HOUSTON – (Realty News Report) – Stewart Title has leased 156,000 SF of office space in the Four Oaks Place complex for its near headquarters location. Stewart’s new offices will be subleased from BHP Billiton at 1360 Post Oak Boulevard in the Uptown Houston area. The move will occur at midyear 2019. The Houston based company has been located in the Post Oak Central office park for a number of years. 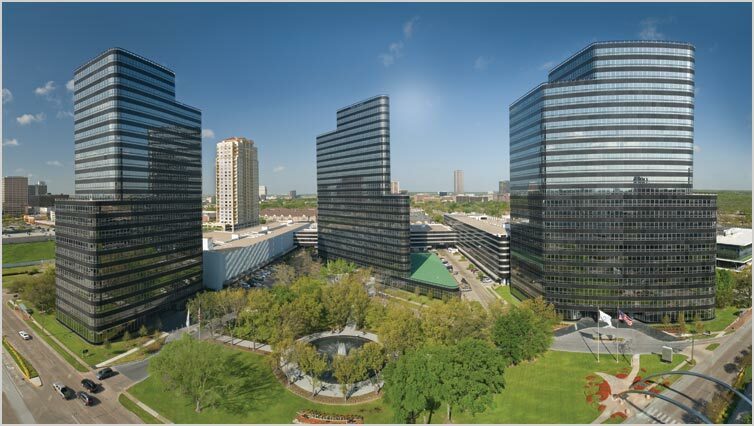 Post Oak Central recently went under new ownership as the Canada Pension Fund Plan Investment Board acquired Parkway Inc., which owned 8.7 million SF of office in Houston. The new Stewart headquarters space in Four Oaks Place spans eight floors, with many additional, exciting amenities to be announced in the coming months. The Stewart lease also chips away at Houston supply of sublease space, which had expanded to more than 12 million SF as the office market went into a decline in 2014. The sublease supply is now below 10 million SF.